This week, we’re going to talk about a timely little topic, and that is how to navigate your nutrition during the holidays, without being that girl or that guy who brought their food scale and meal prep container full of chicken breast and broccoli to Thanksgiving dinner. Here in the US, we are on the precipice of ‘that time of year’ where peer pressure seems to trump personal power. Thanksgiving marks the point where giving in to optimal foraging theory and binging on food and alcohol during an endless barrage of dinner parties with friends, office parties, and family gatherings part. But let me tell you a little secret, you don’t have to choose between being “that guy” or “that girl” at the dinner table and staying healthy. It’s a false dichotomy. You can have your stuffing, and eat it, too. And today’s episode is going to teach you how. [0:34] Some exciting news about our online nutrition program. [04:08] How you can have your stuffing and eat it too. [04:53] Why you should make a solid plan. [06:12] Why you organise which event to attend. Welcome back to the Beyond Macros podcast. We are the sustainable transformation nutrition coaches, and our show will help you make your transformation that lasts with episodes about nutrition and the all important art of inner work. 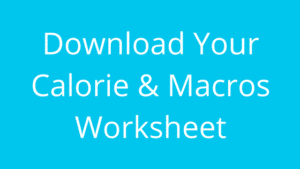 I’ve been dropping hints about exciting news on the horizon that is going to take our free calorie and macro calculator worksheet to a new level and move you along the road on your journey to a lasting transformation. And today I’m going to give you a few more details. One of the most important parts about our online nutrition coaching program is the community support. So, now that we’ve had a whopping 12,000 people download and use our free calorie and macro calculator worksheet, we decided that it’s time to add community for all of you to share your experience, access some more helpful resources, and join some monthly challenges. It’ll be a nice little taste of our online coaching experience. Here’s what online coaching client Rob Fraser, had to say about the community aspect of coaching. We will officially roll out the community on December 1st, and next week we will announce our first monthly challenge on the show. In order to get an invitation to the free community when it launches you must have downloaded our calorie and macro calculator worksheet at beyondmacros.com/worksheet and be an active subscriber on the mailing list. If you happened to unsubscribe, we’ve got an opportunity to get some great free resources in today’s show notes at beyondmacros.com/55 and we did update the calorie & macro calculator worksheet so it’s worth downloading it again! We will also have some epic updates to our online coaching program being announced in the next few weeks, so stay tuned to learn how we’re making it even easier and more affordable for you to get truly personalized coaching that will help you make a transformation that lasts for life. And now for the show you’ve all been waiting for. We’re going to talk about a timely little topic. How to navigate your nutrition during the holidays without being that girl or that guy who brought their food scale and meal prep container full of chicken breast and broccoli to thanksgiving dinner. Here in the US we are on the precipice of ‘that time of year’ where peer pressure seems to trump personal power. Thanksgiving marks the point where giving in to optimal foraging theory and binging on food and alcohol during an endless barrage of dinner parties with friends, office parties, and family gatherings begins. We’ll start with the big picture, and narrow down to the nitty gritty details about situations you might find yourself in. From a big picture perspective, you can expect that the events you will be invited to between now and January 1st are going to be numerous. You have 47 days between thanksgiving and new years eve that will be filled with willpower landmines. And then it seems that all humans collectively get on the same page about pursuing health again because it’s a ‘new year’. Let’s take a second before the madness begins to make a solid plan. I think it goes without saying that being extreme about your diet over the next 47 days is going to be very stressful. If we zoom out, the stress of trying to manage and control everything is going to have worse health consequences than a few ‘off-plan’ choices. So, I think it is important to build some slack into the system over the next 47 days. If you are OK with giving yourself one event per week where you can relax and enjoy good company, that gives you 7 events between now and New Years to relax your focus and just enjoy being present with your company and your food. And I KNOW that is scary for people. Some people think they are “all or nothing” and will turn into a monster without extreme oversight and restrictive rules. But we will discuss where you can put your focus to both enjoy yourself and avoid disaster. Before we get there, I recommend you look at a calendar and determine which events you want to take this get-out-of-tracking free card and put it into play. My recommendation is to identify the dinners, parties, and family gatherings that you are really looking forward to. Love your office fam? Put your office holiday party on the calendar as one of your 7. Salivating just thinking about your mom’s famous stuffing? Put your family’s thanksgiving dinner on the calendar as another one of your 7. Got big plans for New Years with your friends, and just know there will be drinks involved. Put that on the calendar as one of your 7. You might find that after putting a few on your calendar that you have 1-2 ‘wildcards’ that you can put into play for last minute plans. And please note that this doesn’t mean you can’t go to more than 7 events over the next 47 days. It just means that you have 7 events to relax your standards, enjoy your company, and go with the flow. At the rest of the events you find yourself attending, enjoy the company, but keep things under control. Stick to your good eating habits with some pre-planning and by focusing on eating the right portions of food for your goals. Don’t deviate from what a normal meal looks like. Your body does not operate in binaries. You don’t have ‘bad days’ and ‘good days’ that cancel each other out. A bad day of eating can turn into a terrible day of eating, which can turn into a disastrous day of eating. And one disastrous day of eating cannot simply be undone by a day or two of good eating. If you crush an extra 4000 calories of food and drink in one night, which is surprisingly easy to do, it will take you more than a week to counteract that decision. And if you’re letting your hair down every week. Well...you’re going to be taking quite a few steps backwards this holiday season. Enjoy yourself, but don’t get greedy. Don’t make two bad decisions, because two becomes three, becomes four. Go read the cautionary tale, if you give a mouse a cookie if you really want to drive this idea home. And that brings us down to some situational strategies you can use to keep things in control. The first situation I find is a common trap during the holidays relates back to that slippery slope I just mentioned. Let me paint the picture. You’ve had an absolutely lovely dinner with great company. You ate until you were content, and even enjoyed the stuffing and potatoes au gratin which you normally would pass up. You can’t imagine eating another bite of food. And then desserts come out. That pumpkin pie just looks sooo good. It brings up a flood of childhood memories and you realize you’re salivating. So, you decide ‘what the heck?’ and cut off ONE LITTLE SLICE of paleo pumpkin pie. The first bite hits your lips and all of a sudden the sugar it contains finds a way to convince your brain that you DO in fact have WAY more room in your stomach than you thought. No Mr. pumpkin pie slice, why. Why are you tempting me so!?!? I’ve found myself going back and just cutting off one more little sliver of pie. And before I can sit back down I’ve faced it and still feel unsatisfied. 10 little slivers later I’ve crushed two more slices of pumpkin pie. Oops. So, how do you deal with situations like this? I’ve found a few options that work for me, and a few others that clients have had success with. The first option might sound weird, and that’s by design. After eating one dessert, if there is still lean protein or vegetables available, go eat some of them SLOWLY. It might sound weird because who eats meat and veggies AFTER dessert? And that’s exactly the point of this exercise. The protein and bulk of the vegetables should quickly remind you whether your pie craving is coming from a place of hunger or a place of being a sugar crazed primate who hallucinates that desserts are talking to him. The second strategy that can help if there ISN’T any protein or veggies available after the desserts have been served is to get the remaining desserts OUT of your visual field. I dealt with some binge eating issues as a young man and nothing was more stressful to me than leftover food sitting out right under my nose while I’m trying to have a conversation after the meal. It’s like there is a white gorilla with purple spots sitting on the table and I’m somehow supposed to ignore it. I know from years of experience working with clients that this is a common occurrence. So, here are some solutions that have worked. if you’re at a restaurant you can ask to have the leftovers taken away or boxed up for someone who is not you. It’s the season of giving and there are plenty of cold hungry people who will gladly accept what you don’t need to be eating. If you’re at a friend or family’s house you can offer to help ‘put the leftovers away’ and get the tempting desserts out of sight so you can enjoy some conversation without pumpkin pie eyes staring into your soul, begging you to devour them. Or you can just relocate your conversation to another room away from the kitchen and dining area. I’ve called this process “putting the meal to sleep” after I started a practice of using my napkin to “tuck in” my leftover food at a restaurant in order to remove it from my visual awareness. It’s a surprisingly effective ritual. Now another situation you might find yourself in is traveling to share a holiday with family whose definition of a serving of vegetables is french fries with ketchup. Wrapped up in this situation is a few challenges. First is the travel. If you are traveling by air, expect Murphy’s law to be in full effect. Plan for a cancelled or massively delayed flight. You should pack two meal prep containers ideally. One with a hot meal, and one with a salad. Hit your local healthy grocery market and fill up at their hot bar and salad bar if you don’t have time to cook. While you’re there, pick up protein bars, jerky, and some fruit so you have snacks with you. Some of my personal favorite travel snacks are baby food, Epic Bars, RX Bars, Epic Hunt & Harvest mix, Crunchy garbanzo beans, berries, jerky and a floss pick. The same applies to traveling by car, although your options for decent food on the road might be more abundant because you can stop at grocery stores or build-your-own meal restaurants like Chipotle along the way. If you head to the show notes at beyondmacros.com/55, you can sign up to get our famous travel packing & snacking list to help out as part of our free navigating the holidays resource pack. But what about when you get to your family’s house? I think that offering to cook and bring a dish is always welcome as long as you aren’t bringing grilled chicken breast and broccoli! For the most part, I’ve found that people are not shy when it comes to cooking enough meat for holiday dinners. 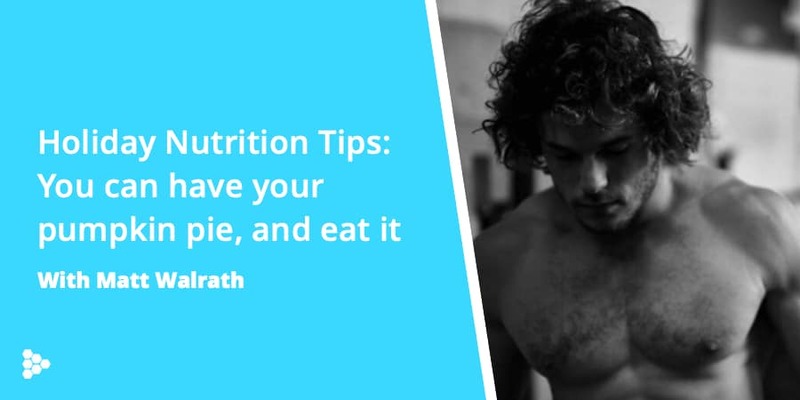 You should be covered on the protein front, unless you’re plant-based, in which case your family is either used to accommodating your needs or at least used to you prepping for yourself. Where you’re likely to get screwed is with way too big a portion of starchy and processed carbs and nowhere near enough veggies worth eating. So instead of settling for a salad that consists of iceberg lettuce, shredded carrots with a slice of cucumber and dollop of ranch dressing, why not offer cook up the most delicious vegetable dish your family has ever set eyes upon? Bacon brussel sporuts anyone? Or how about brussel sprouts with peanut sauce? Maybe if you’re not culinarily gifted, assemble a salad that ACTUALLY tastes good and has good ingredients? I’m not sure if culinarily is actually a word, but I think you get what I mean. In addition to the travel packing & snacking list, I’ll also send you some easy and delicious recipes you can make for holiday parties in the navigating the holidays resource pack at beyondmacros.com/55. And the last tough situation I want to talk about is your movement practice. Whatever you do, don’t put your gym membership on hold. You want it to be easy to get in to the gym and train when you have the time. Even if you can only make it once per week and it doesn’t make financial sense to have a membership- the fact that you’re paying, it’s available, and nothing has changed means you’re more likely to make it in vs. giving up training altogether. And if you’re feeling stressed out by the season, feel free to modify and cherry pick workouts so that the fun factor is there. Maybe even go take a few classes you normally wouldn’t and bring some family along with you. And simply put, just don’t stop moving. You should scope out the gym situation wherever you’re traveling, or bring a kettlebell with you. If you can’t get to a gym to get a full workout in, there’s no reason you can’t do some bodyweight work, swing a kettlebell, take a walk, or finally get into the stretching routine you’ve been fantasizing about! The final of the 3 bonuses we’ll send you when you sign up for our free navigating the holidays resource pack is going to be a list of some minimal or no-equipment workouts you can do while traveling without gym access. And before we conclude today’s episode, remember to respect your own personal power and be confident in your choices. If you seem unsure about what you’re doing and why, your friends and family will sense the weakness and turn the perl pressure up to 11. We humans are surprisingly like crabs in a bucket. And the peer pressure is going to challenge your inner work, but you should welcome the challenge. How are you going to respond to the tests that the end of 2018 will throw at you. Will you practice standing stronger and more confident with your power, or will you practice letting others dictate how you will act? Get on it, and share your favorite lessons from the show on social media. Tag us @beyondmacros on instagram in your stories for a shout out. I absolutely love hearing from you listeners- and with so much information in this episode I really want to know what lands for you and amplify those messages! As always, thanks for listening, and I look forward to seeing you again next week.